for the standard size chart of our rubber bands. 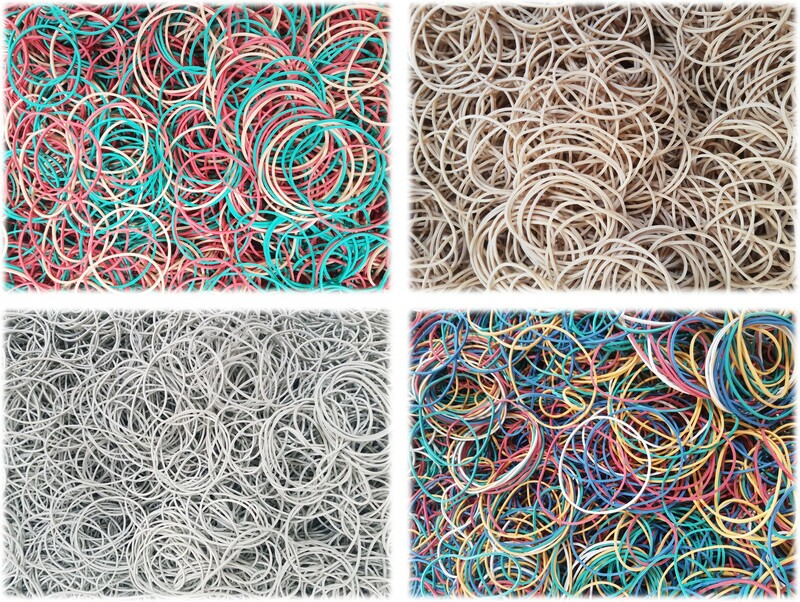 There are 2 types of Rubber bands which are compounds and crepe rubber bands. - Crepe Rubber Bands are higher quality and generally provide a higher count per pound. Crepe bands are most often available in their natural color. 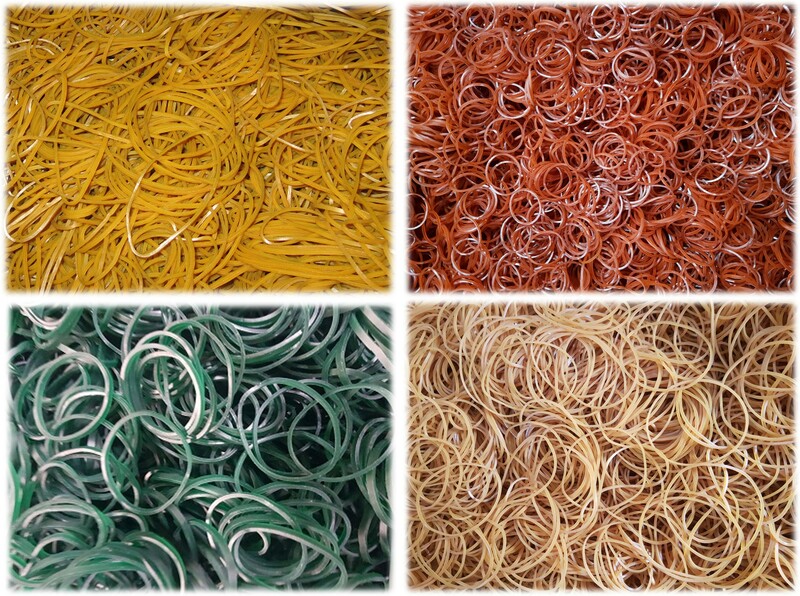 - Compound Rubber Bands are a composite of materials, are available in any colors (i.e. red, green, pink, blue, black and natural color) and generally are less expensive than pure crepe rubber bands.